We take our commitment to provide the best service experience in the industry very seriously. Your success is our success. 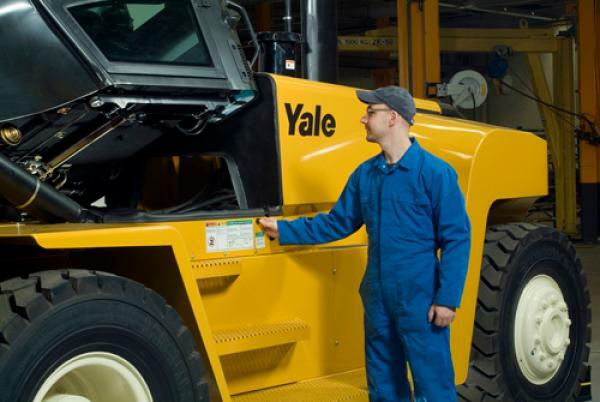 Trust our team of highly skilled, factory trained Service Technicians and Customer Service Representatives to partner with you to maintain, repair and monitor your lift trucks, aerial work platforms, balers, compactors and docks and doors. 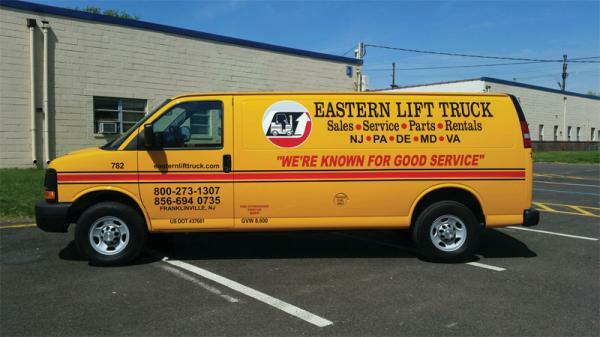 We provide in-house and on-site service for all makes and models of forklifts, aerial work platforms, industrial vehicles and other equipment, throughout Delaware, Maryland, New Jersey, Southeastern New York State, New York City, Central and Eastern Pennsylvania, Northern Virginia, and the Panhandle of West Virginia. We offer a full range of dock and door services including sectional and rolling doors, dock seals, shelters, levelers and vehicle restraints. Our fleet of delivery trucks includes tilt beds and tractor trailers. Our drivers are courteous, knowledgeable and safe. We can accommodate dock and ground level loads and we'll move your equipment safely and efficiently. Safety is our top priority. Our safety inspections will help you make your equipment safer and may save you money by addressing small problems before they become large problems. We offer expert analysis of tires, forks, chains, brakes, emissions etc. Reduce the overall cost of owning and operating your material handling equipment fleet. 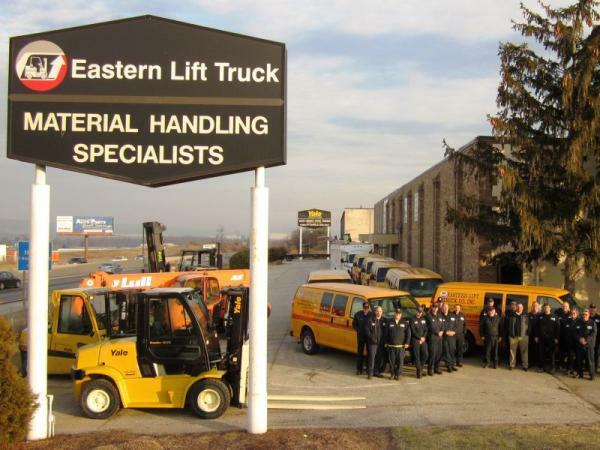 Most customers experience savings in the first year, after signing up with Eastern Lift Truck Co.’s Fleet Dept. Our Parts Department is your one-stop source for more than 7 million replacement parts and accessories for 100+ brands.